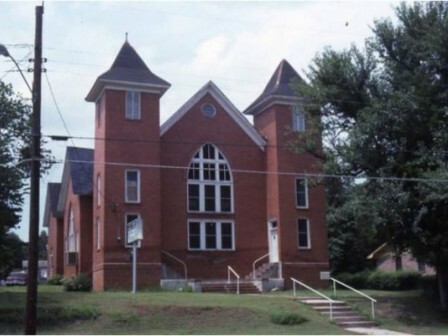 Organized as a church and school by freedmen in the early 1870s, Mount Vernon African Methodist Episcopal Church is the third oldest congregation of its kind in Texas. The present structure, completed in 1921, is a prime example of Gothic Revival architecture. It has been listed on the National Register of Historic Places, as a Texas Historic Landmark, and as a City of Palestine Landmark. In a town with over 1,800 identified historic structures, it is one of only a handful with all three designations.